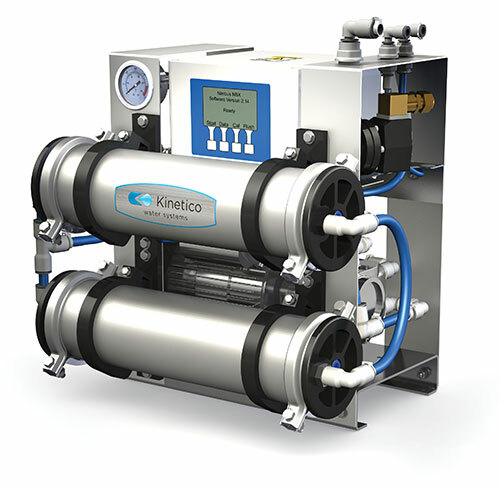 Some applications require the consistent purity and quality that only a Kinetico commercial reverse osmosis system (also known as “RO”) can provide. Sometimes, typical commercial water filters fall short of the quality your application needs. If that’s the case with your business, maybe it is time you upgraded to one of our commercial RO systems. 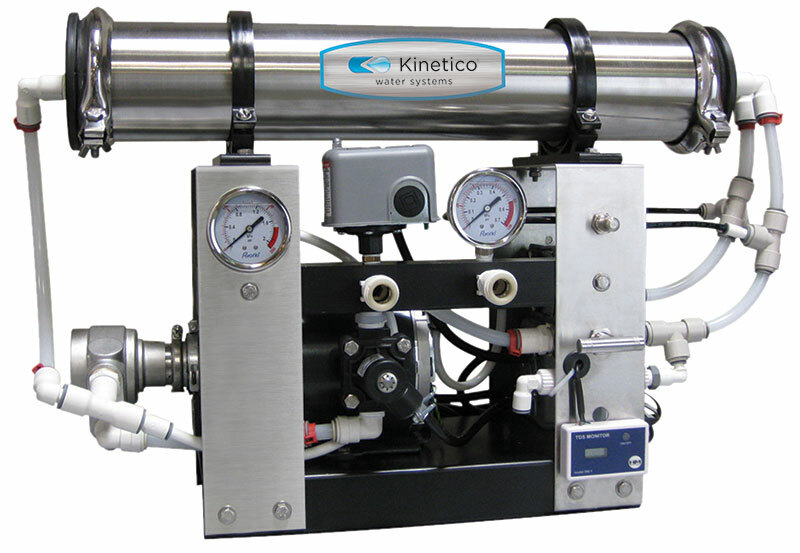 If you need flawless water for sensitive medical uses, superior drinking water for your customers, or a great way to set your business apart from your competitors, Kinetico’s industrial-grade reverse osmosis systems can help you accomplish your goals. 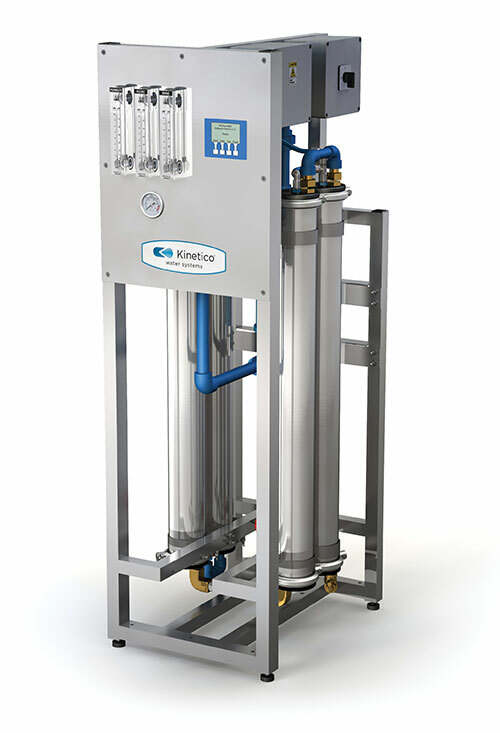 Kinetico’s Reverse Osmosis units are compact and space saving and can be installed under the table or counter, right next to the dishwasher or in another place when space is at a premium. It is perfect for use with: dish washers, ice machines, autoclaves, car washes, within the pharmaceutical industry, boiler treatment, laboratories, humidifiers, process water and much, much more. The H-Series are simple, compact reverse osmosis systems sized for medium volume usage applications, including residential whole-home water treatment. An integrated blending valve and a TDS meter allow for precise TDS water profiles, and a recirculation valve makes it easy to adjust recovery rates. The NSC-Series reverse osmosis systems are ideal for low to medium volume applications where space is at a premium. The proprietary, encapsulated cartridges provide for easy, sanitary filter changes. An integrated blending valve and a TDS meter allow for precise TDS water profiles. The ROAX Series combines rugged construction and high-volume output within a very small vertical footprint. Proprietary controller technology allows for easy start-up, automated maintenance notifications, and service diagnostics. 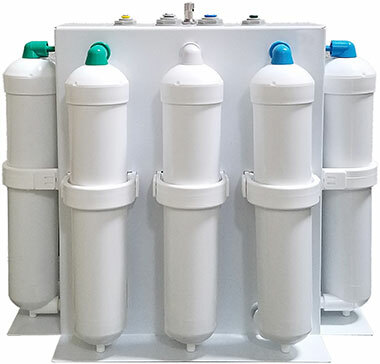 The S-Series features proprietary controller technology for improved flexibility and ease of use when water reverse osmosis water is needed for medium to high volume usage and works best paired with bladder storage tanks, but can connect to an atmospheric tank.